Hello there, Maharanis! I hope this Monday morning is treating you well! 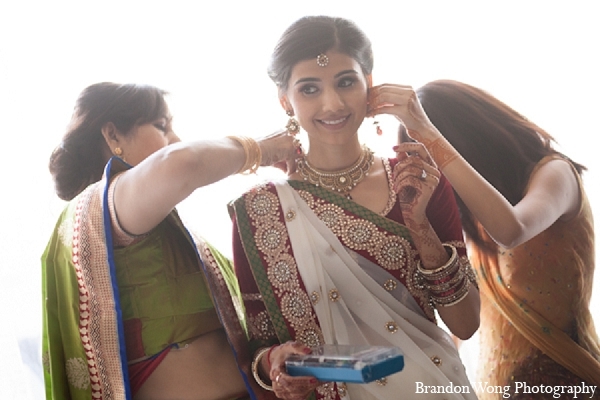 Today, we head over to Southern California with Brandon Wong Photography as this lovely bride gets ready! 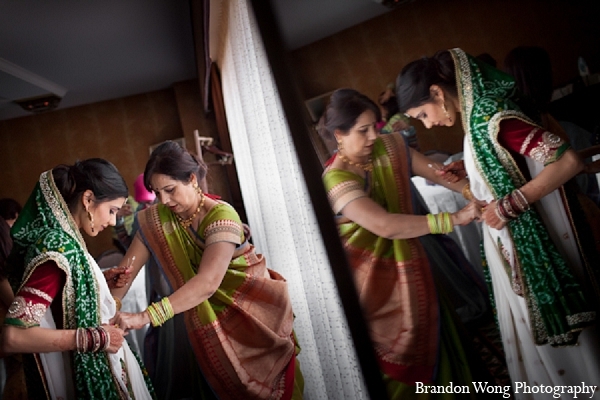 I love this traditional bridal sari; with a red velvet blouse and classic green patterned dupatta, you can't go wrong! 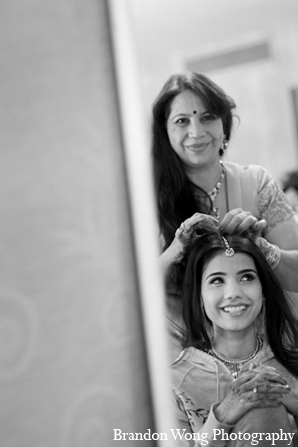 It's so sweet to see loved ones give a helping hand with all things beauty; is it just me or do moms do the best job at wrapping saris?! 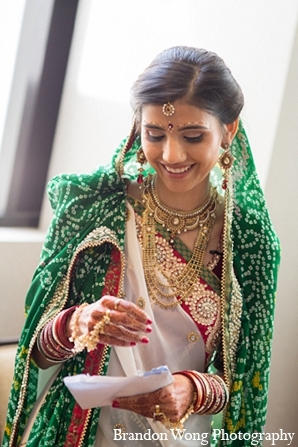 This Maharani looks so polished with a sleek updo and an elegant jewelry set that complete her classy style. 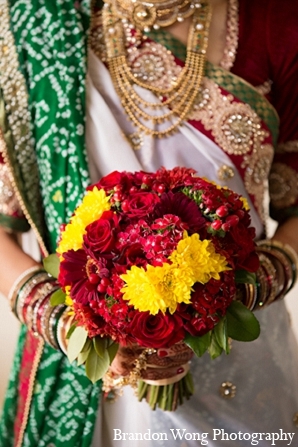 With her bountiful bouquet in hand, she is ready to get married to her true love! Head over to the gallery before the ceremony begins! 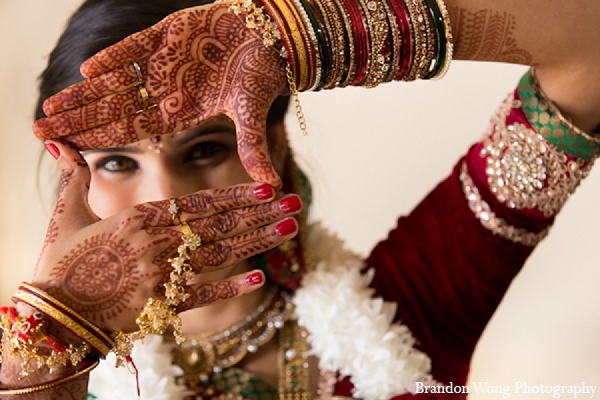 Don't miss a bangin' baraat with sounds from Special Occasions DJ & Lighting and a super sweet ceremony executed by Planning Elegance, up next! 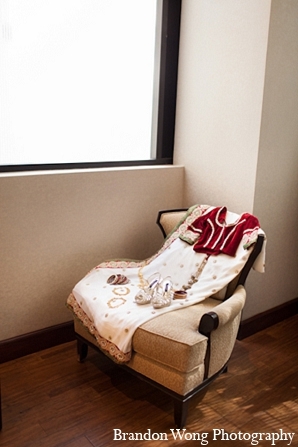 Karishma Beauty Salon is a member of the Platinum Guide. Love what you see? Explore their portfolios.